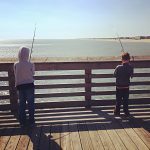 If you have been following us on Instagram, Facebook, or Twitter you know we recently spent an awesome week camping in the Outer Banks of North Carolina. 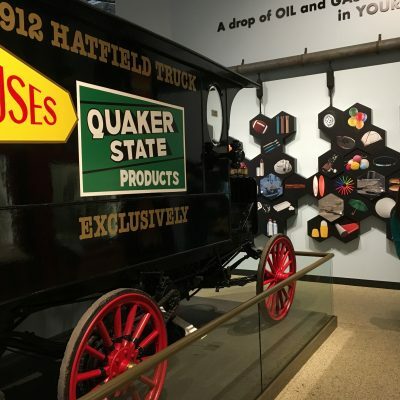 We thoroughly enjoyed the trip and we will be putting together a family fun guide to the OBX (much like we did for the Black Hills and Charleston) so be looking for that next week. 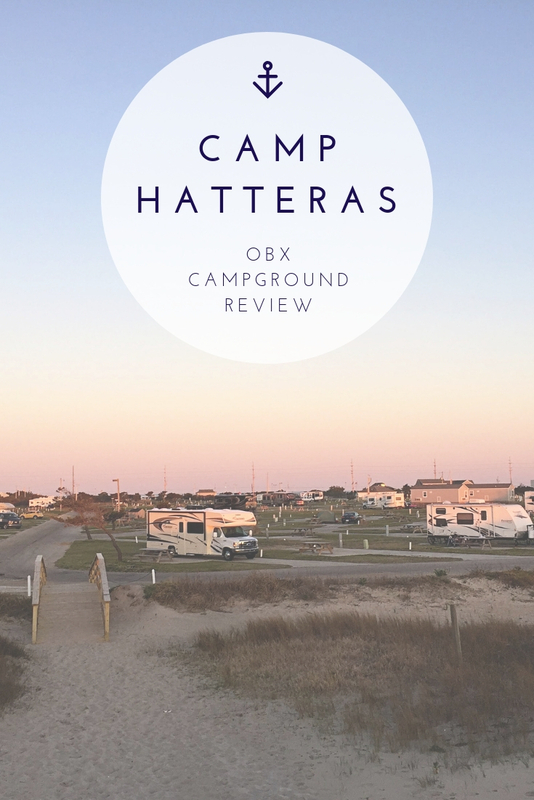 But first, here’s our full review of our base camp in the OBX: Camp Hatteras in Rodanthe, N.C. 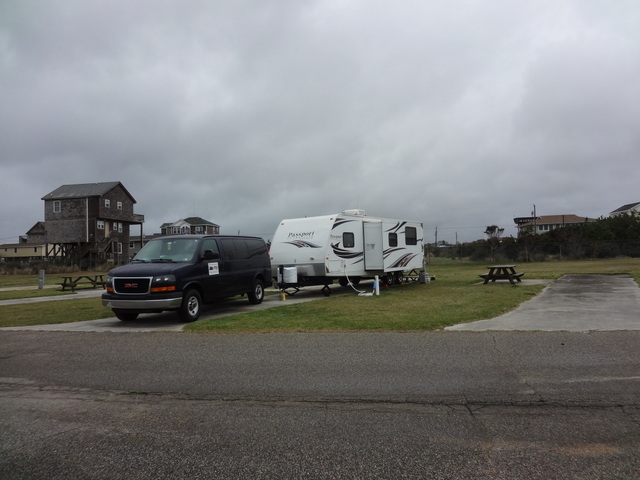 Campground: Camp Hatteras was a great base camp for us while we were touring the Outer Banks. 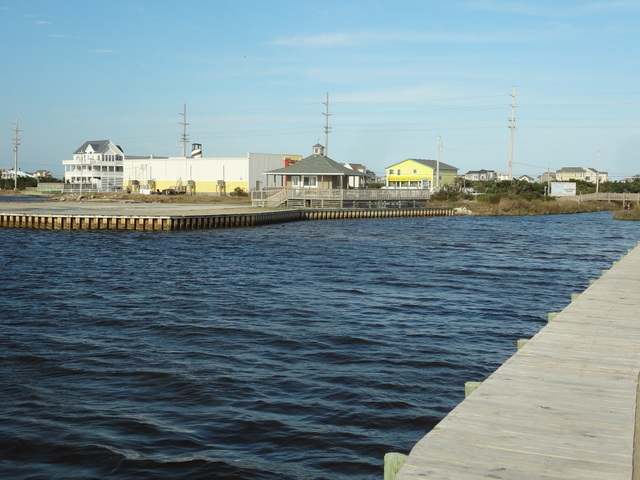 It is in Rodanthe, which is on Hatteras Island and centrally located along the string of barrier islands. 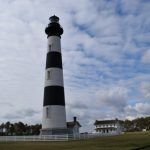 This means that you are about 40 minutes away from all the major shopping and attractions in Kitty Hawk, Nags Head, Kill Devil Hills, etc., to the north and about 30 minutes away from the southern areas like Buxton, Frisco, and Hatteras. 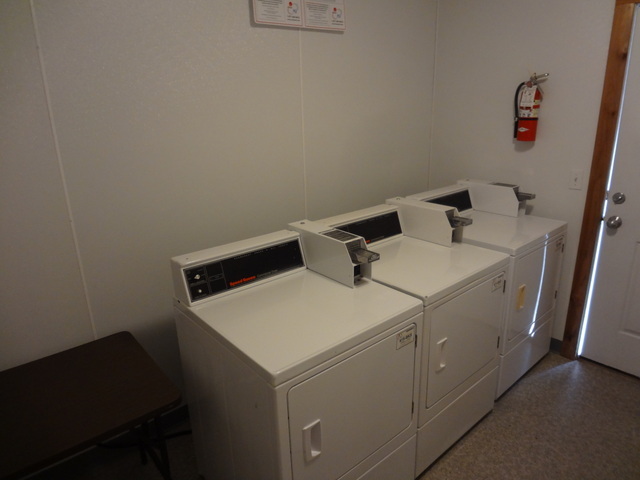 In addition to its ideal location it also has many great features as a campground. 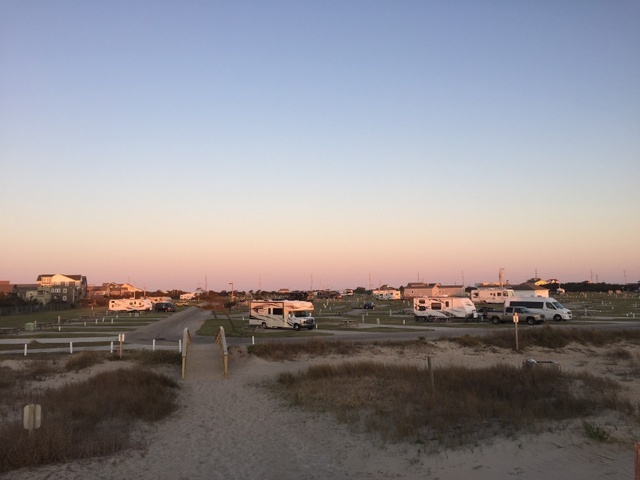 One of the unique attributes of Camp Hatteras is that it is the only campground in the OBX (that we know of) that owns both ocean and soundfront property. It’s pretty cool that from one location you can get up early to watch sunrises over the ocean but then at the end of the day, head over to the sound side and watch the sun set. 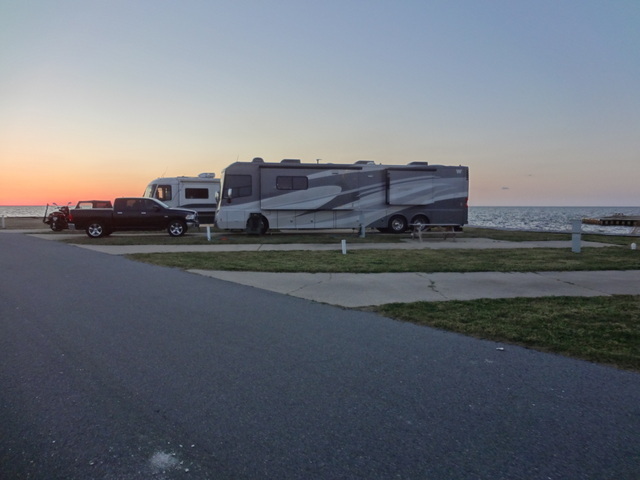 Although Kristin and I are the type of campers that prefer more private, wooded campsites, we would stay at Camp Hatteras again in the off season. 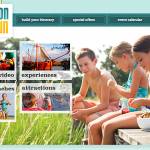 We liked our site (No. 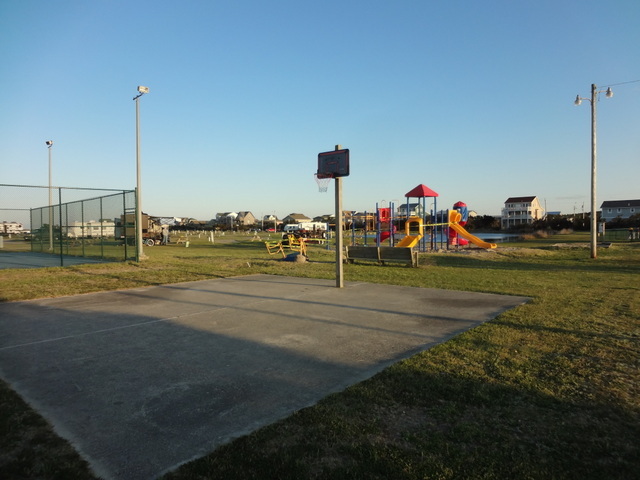 133) because it was just a short walk to the beach, but it also had a large open grassy area behind it where the kids could run around and play. 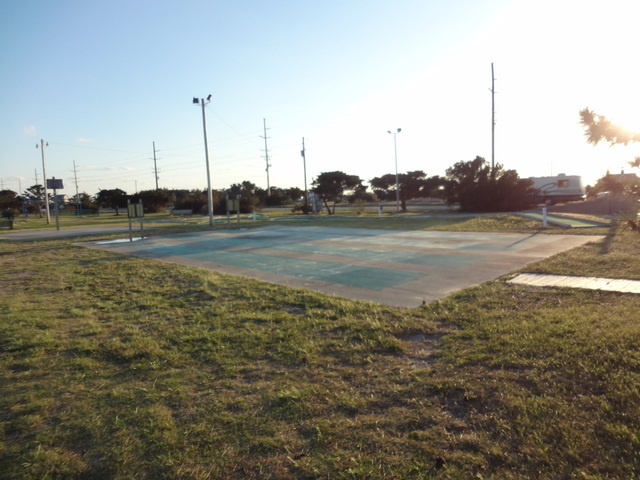 (All of the sites located along this row appeared to have similar green space.) 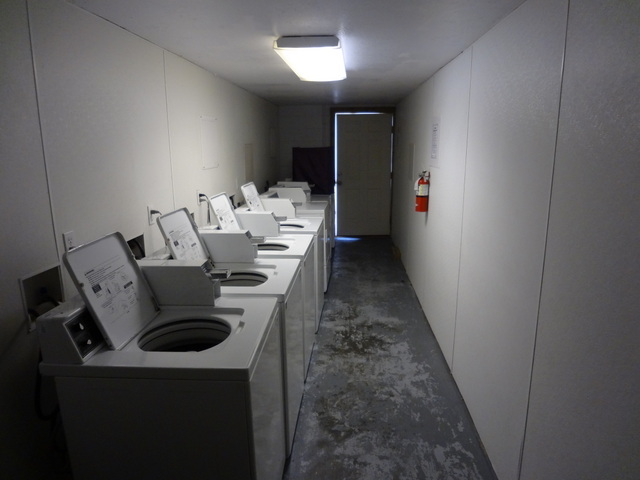 Because of the location of our slide-out and the location of the electric/water/sewer hookups, it was a bit tricky getting the camper positioned just right. 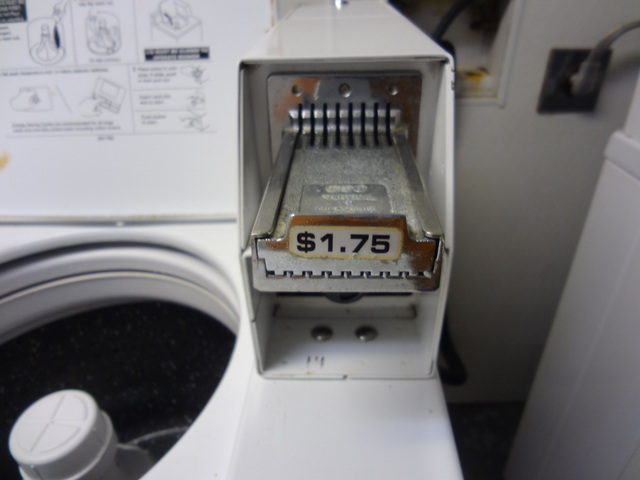 As an aside, in the event a camper were to hit the water riser or electric pedestal, the campground charges $100 and $300, respectively, for the damages. 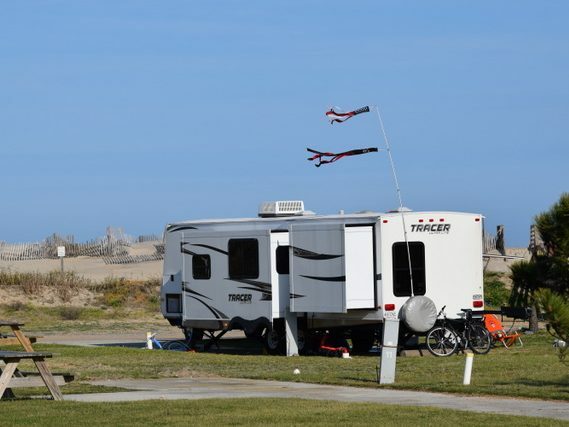 The campground is very large (over 400 campsites) and the sites are close together. 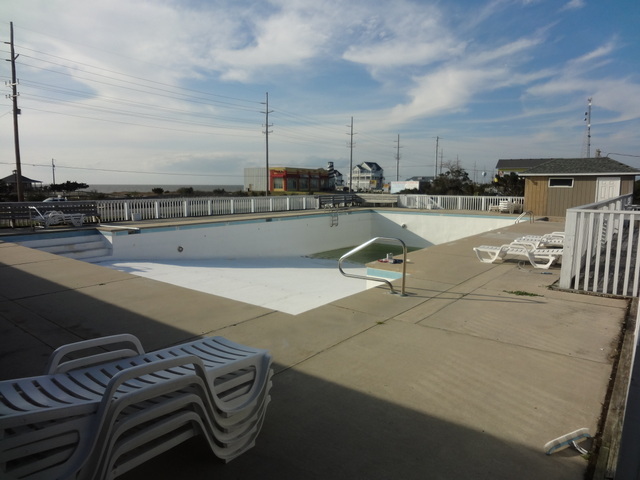 As one would expect in a prime vacation destination, between Memorial Day and Labor Day it is a hopping place. 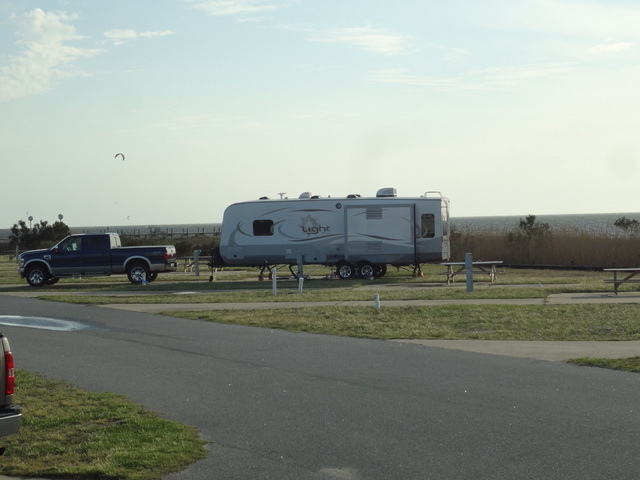 We talked to a family who has been coming to Camp Hatteras for many years and they shared that in the off season it is a quiet place to camp. 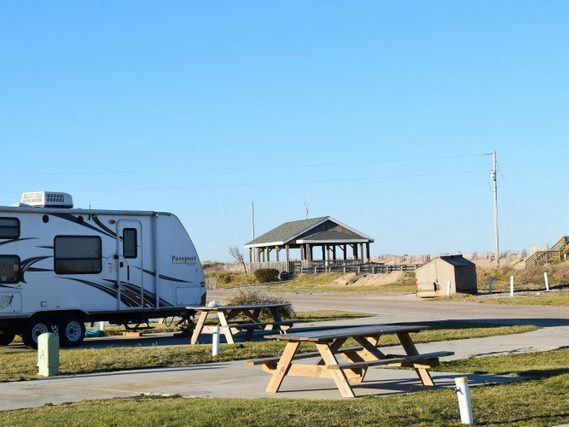 But during peak vacation season (and especially holiday weekends) they said the campground fills up and can feel crowded. 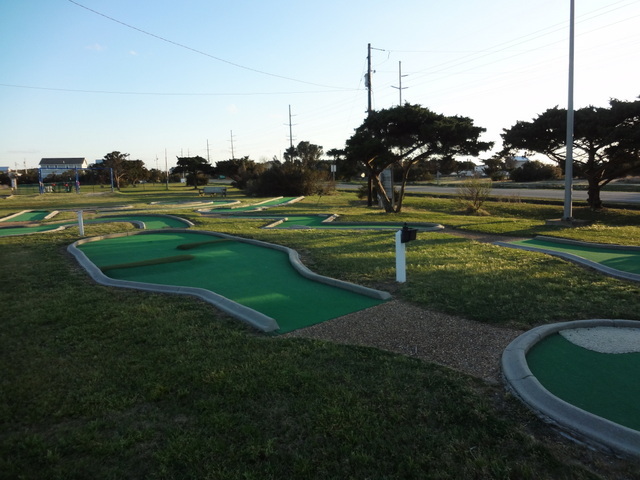 They said many campers bring golf-carts with them and in the summer they are buzzing all over the place. 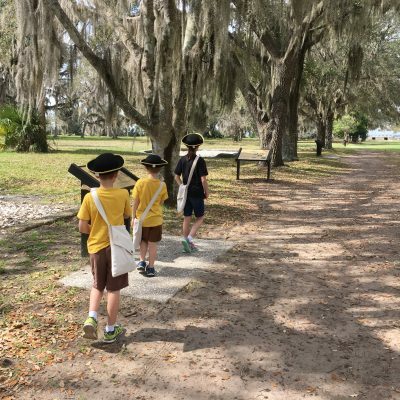 We noticed a county sheriff drive through the campground the one night, and it was good to know that the local law enforcement was keeping a watchful eye on the area. 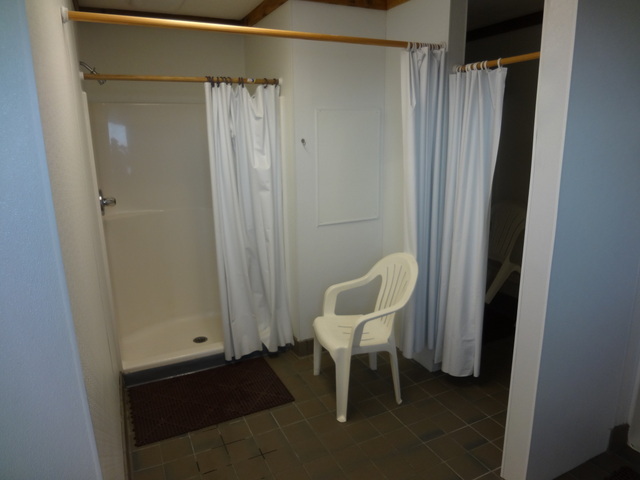 We were disappointed that we could not connect to the Wi-Fi from our site. 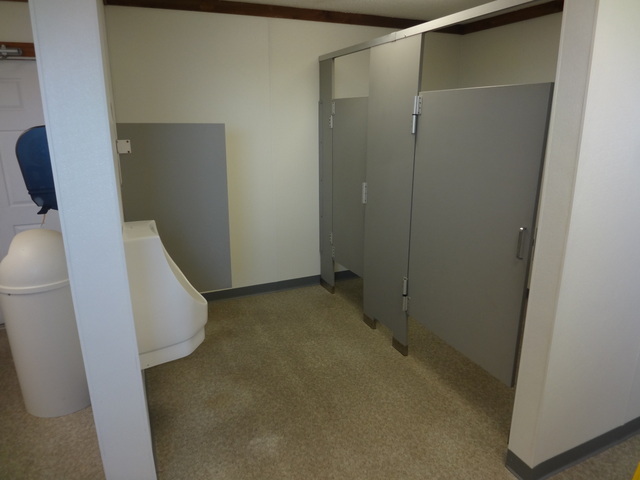 When we were near the bathrooms or the clubhouse we could connect with no problems, so it appears the campground’s Wi-Fi range was just not strong enough to reach all areas of the campground. 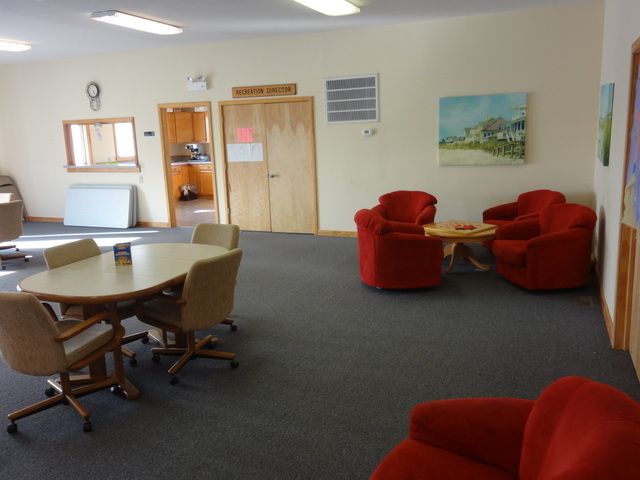 If Wi-Fi access is important for your visit, consider asking for a site near the Wi-Fi routers. 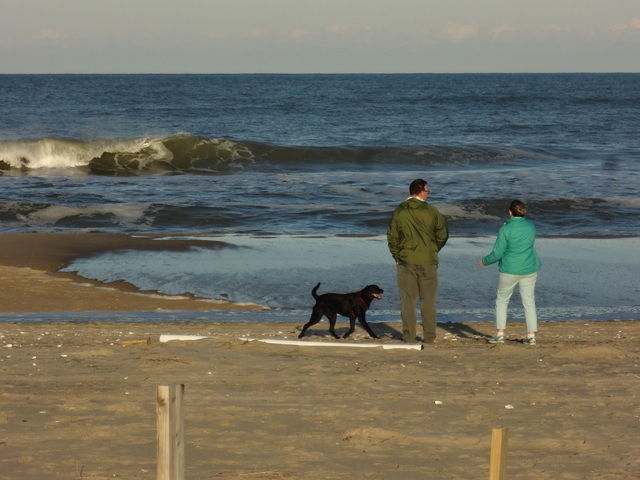 Another thing to note about the wind: To get to the barrier islands, you have to cross at least one long (and tall!) bridge. 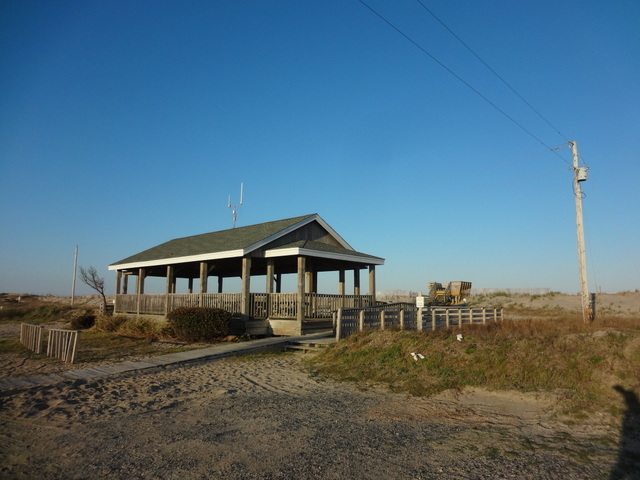 On our way into the Outer Banks, our drive across the Wright Memorial Bridge was a bit of a white-knuckle affair because the winds were strong that day. 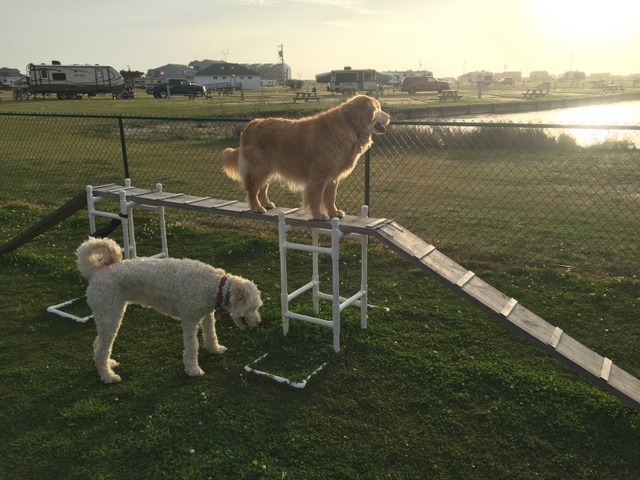 On the way home, though, the crossing was no problem. 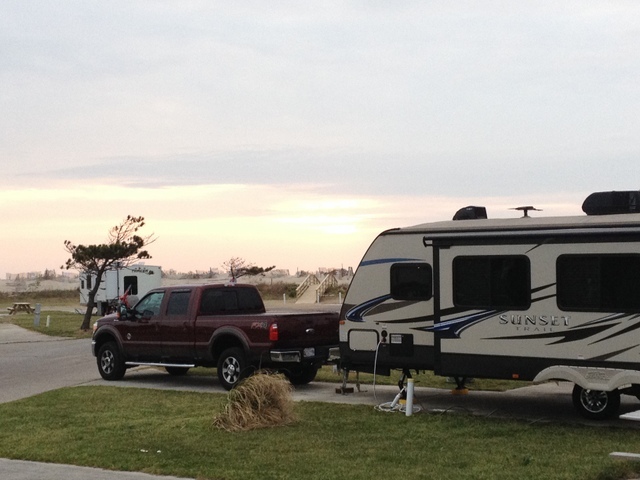 Our premium oceanfront site on the southern side of the campground. 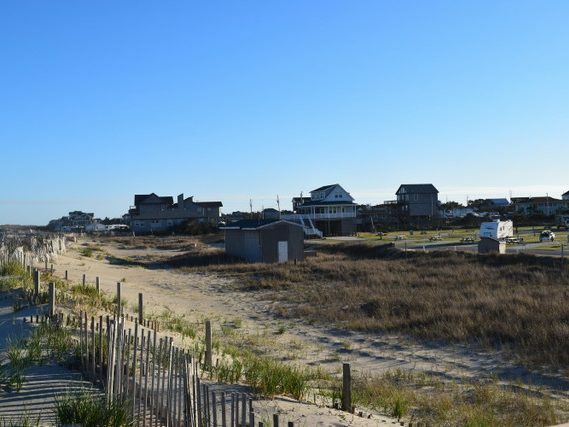 Standing on the dune crossover looking back to the northern end of the campground. 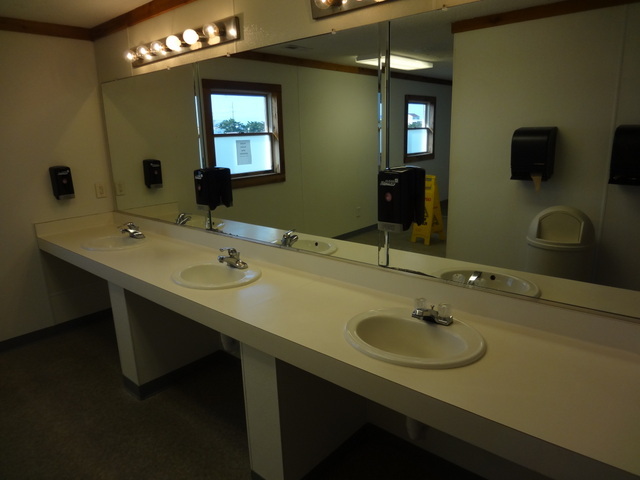 Bathrooms: Camp Hatteras is a large facility and has four bathhouses as well as some restrooms in the clubhouse. 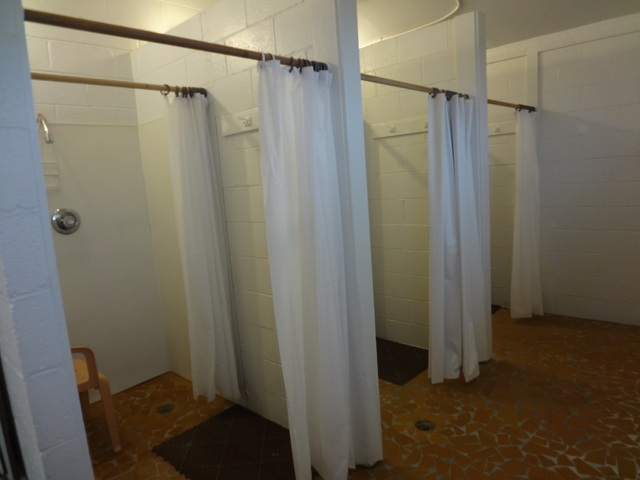 The bathrooms on the oceanside are older but they were clean during our stay. 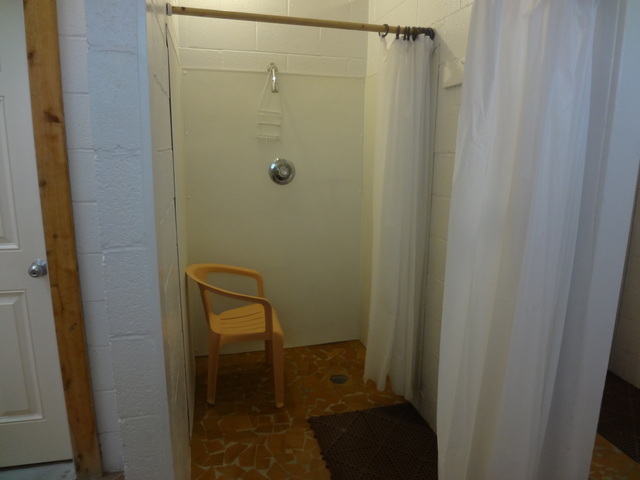 The bathhouse on the soundside was newer and nicer. 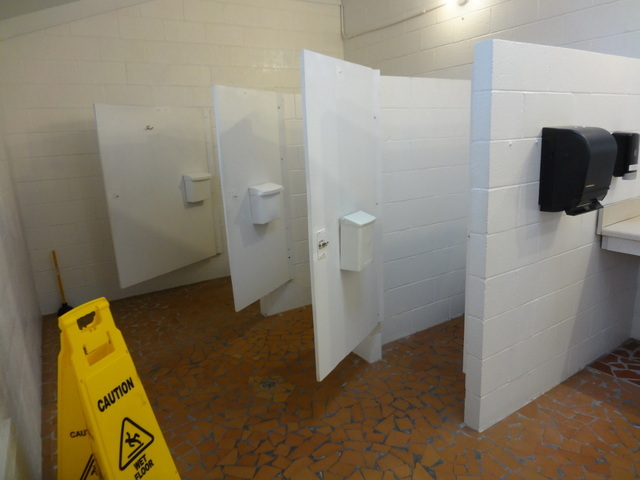 While the sites have full hook-up, in peak season I imagine the bathrooms would be used a great deal. 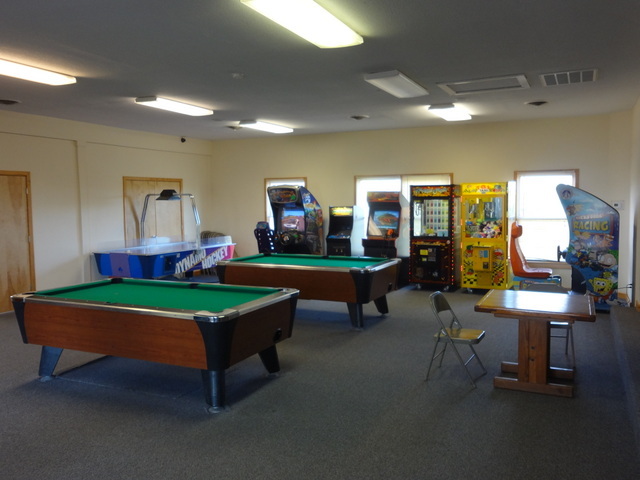 A clubhouse with a small camp store, arcade, pool tables, full kitchen, and activity room. 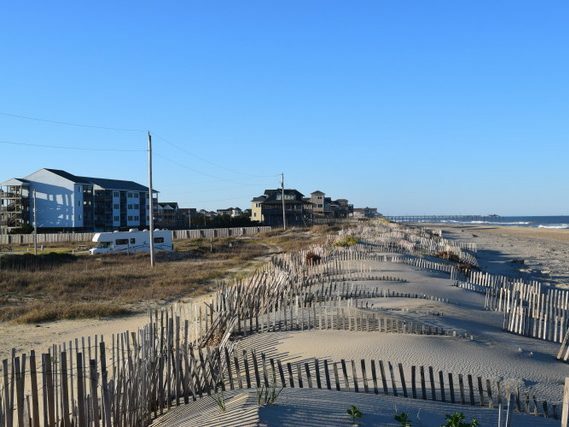 And 1,000 feet of oceanfront beach access with dune crossovers. 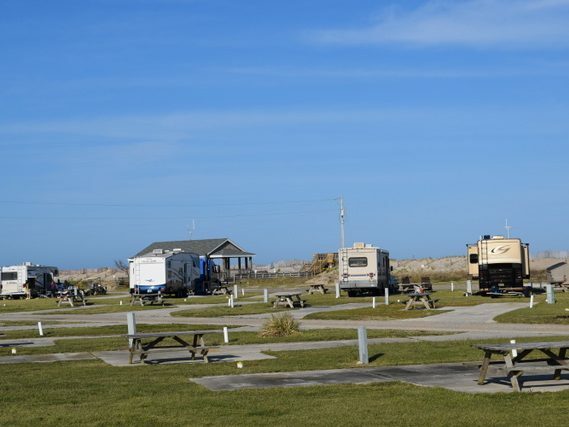 Rates: The rates at Camp Hatteras vary depending on type of site and season. 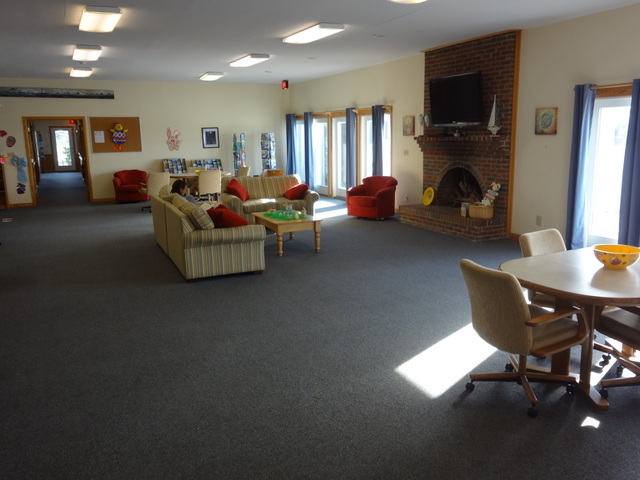 As of spring 2016, the campground charges additional per night fees as follows: $3 for each pet; $4 for each child between the ages of 6-18; $8 for each additional adult; $3 for cable. 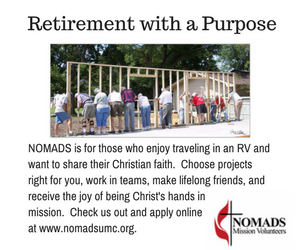 Visit the website to learn more. 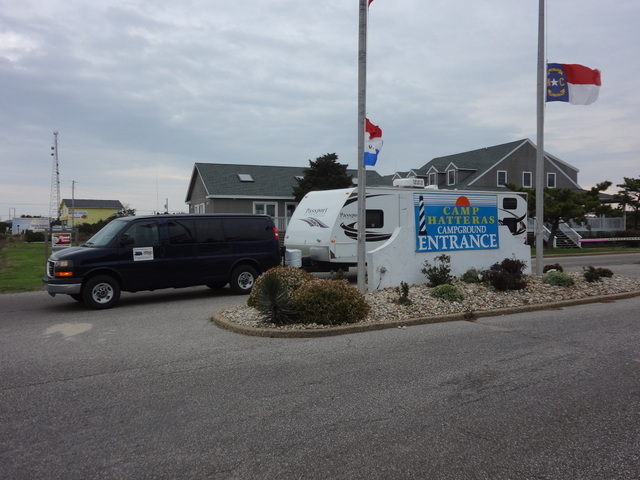 Many thanks to the Outer Banks Visitors Bureau, which sponsored our visit. We have camped here 3 times, all in early May. Twice in a PopUp. 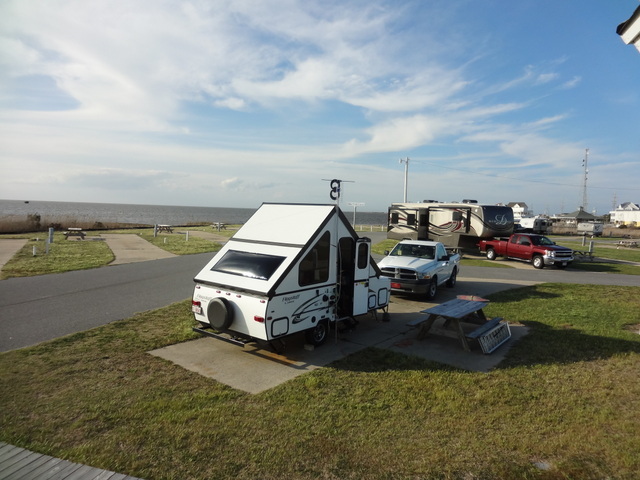 Absolutely loved this campground and would definitely stay again. 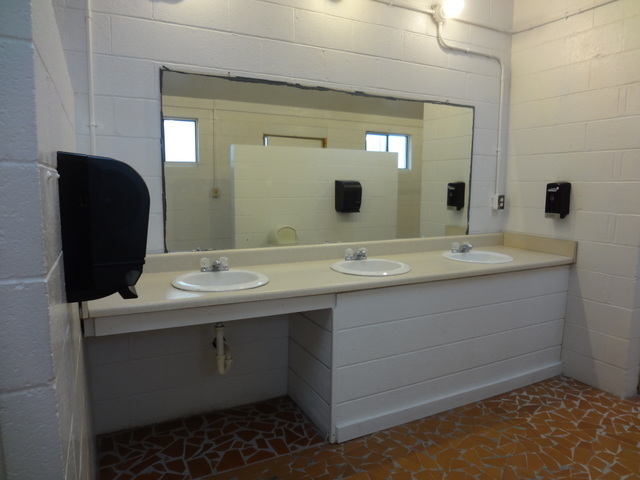 Bathrooms were always spotless. Early May was the perfect time, not too busy. Hi Mearl! Thanks so much for stopping by and reading! 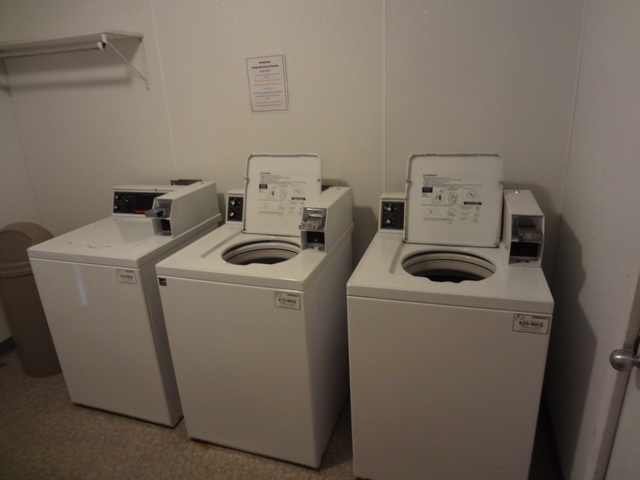 And thanks for sharing about your great experiences, too! 🙂 Happy camping! 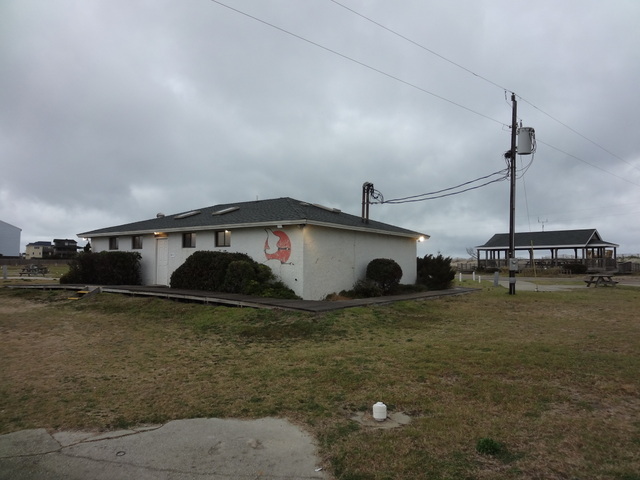 I see on Google maps that a KOA is pretty much next door to Camp Hatteras, wha drove your choice? 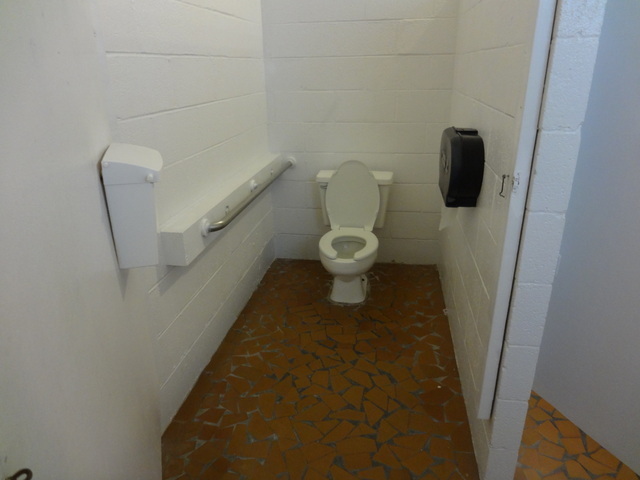 Do you have any feedback on the KOA? 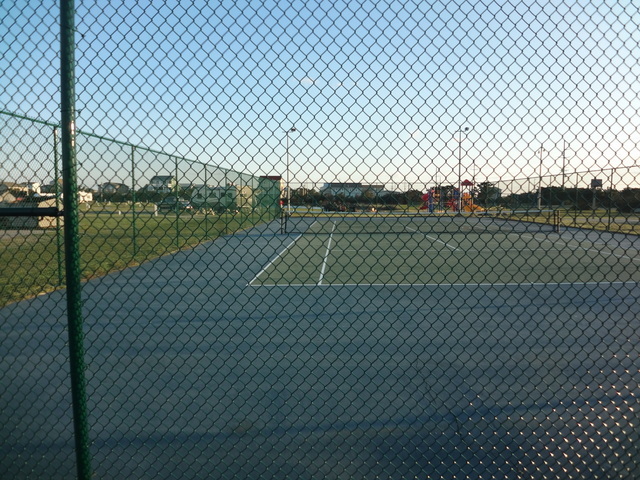 Hi Andy! Thanks so much for stopping by and reading! 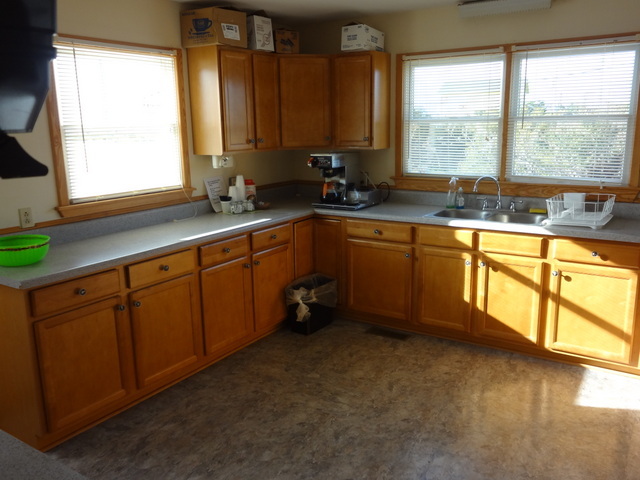 Yes, the KOA is right next door. 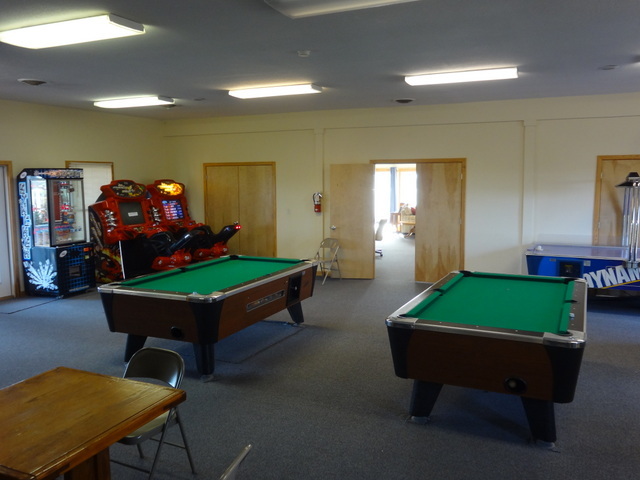 We don’t have any additional info about the KOA, but the main reason we selected Camp Hatteras was because of the indoor pool. 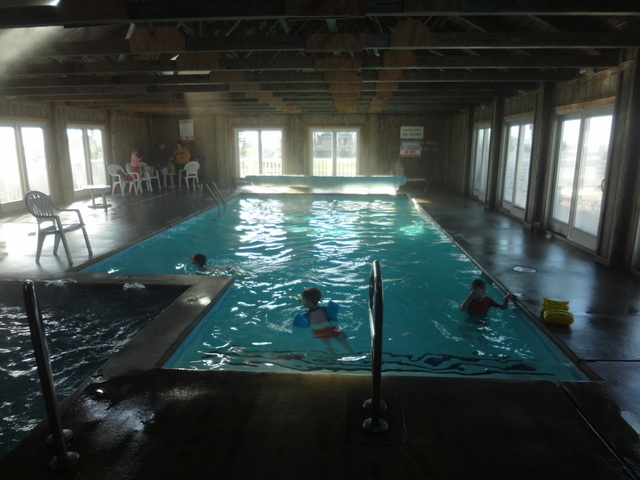 Since we were there in March, we knew it was going to be too cold for the kids to enjoy swimming outside. Happy camping! 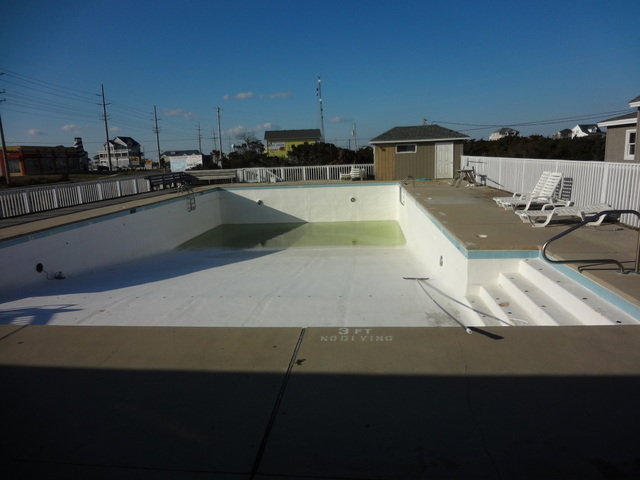 We stayed in a condo on Resort Rodanthe Dr last fall that had an Oceanside view. 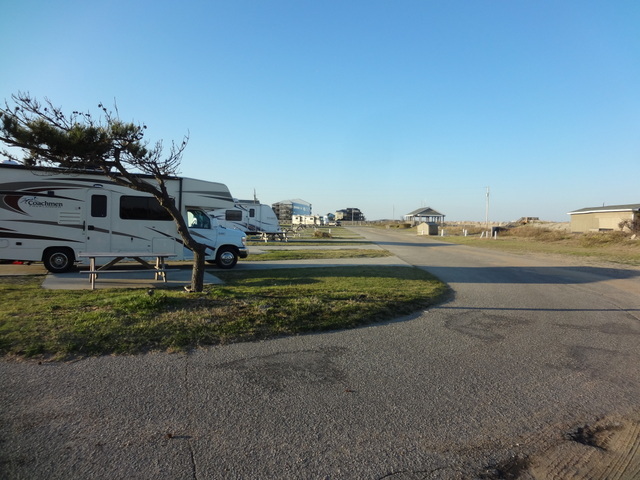 We looked directly overtop Camp Hatteras to an expansive view of the ocean, made more expansive due to the fact that it was a campground next door instead of another 3 story building of condos. 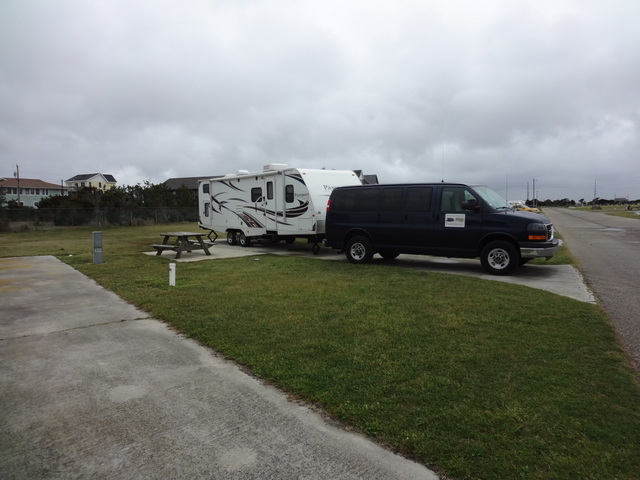 We have camped at Camp Hatteras several times. 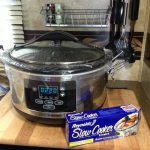 What you have stated on your blog is completely accurate. 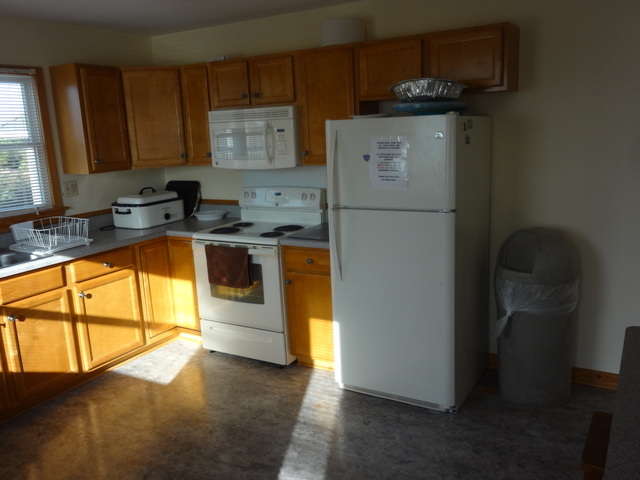 This place is terrific! We have grown wiser and now camp on the soundside. 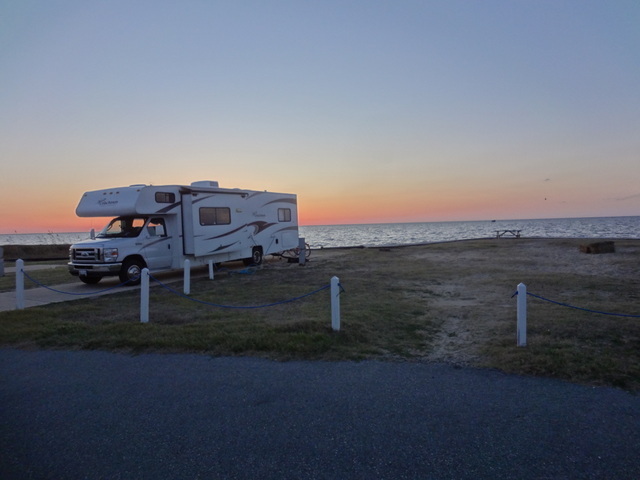 It is somewhat more inexpensive… it is like my husband said, “We just need a place to park the camper, we do not have to hang out at the campground all day.” The ocean cannot be seen from any campsite, so nothing is lost. The sound gives the best views of sunsets and parafoil surfers!